UPDATE: When you checkout, you can also choose 3 FREE samples! There are 12 different samples to choose from! 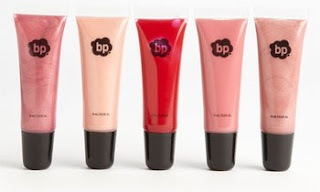 Head over to Nordstrom to snag a BP 'Mix & Match' Lip Gloss Set for only $7.49! This set regularly costs $15 and ships for FREE! TIP: Feel free to browse around their sale section. Nordstrom offers FREE shipping on all orders, so you may be able to find some other great deals! Want to see more online deals? Click here and scroll down!